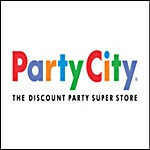 Party City is one of the premiere locations nationwide to by decorations or supplies for any kind of party you can imagine. A Party City application online form is the first step in getting into a fun work environment with a company that prides itself on making it easy for employees and customers alike to celebrate special occasions and spend more time with family and friends. If you are the type of person that loves a good party and can easily get into the holiday spirit, then this can be the perfect career move for you. You can find a Party City application on the company’s official website. Just click on the “careers” link on the menu on the bottom of any page and you will be taken to the Join our Team section. You can select store, corporate or job fair positions from the menu provided and then click the Apply Now button to start filling out your application. You can search for job openings by position or location. You are also given the opportunity to create a login ID so you can come back later to work on your application or fill out new ones. You can fill out a Party City online application to be an assistant manager, district manager, customization specialist, design studio specialist, general management, general manager, team leader or store associate. Corporate positions are listed based on the need of a given branch office. Many of these opportunities fall into IT or merchandise management roles. Job fair positions can be located by zip code and are listed by event. Your Party City application form will not list specific salary information for the position you apply for because this can vary by location and your experience. Entry level pay begins at $7.25 unless minimum wage in a given state is higher. Management salaries will vary based on location but assistant managers typically make between $33,000-44,000 annually and general managers can earn an annual salary of $48,000-70,000. When you fill out a Party City application online you should be aware that some of the busiest hours for this store will be near major holidays as people need to stock up for supplies. You will need to consider your availability before you apply to ensure that this will not be an issue for you. Party City also prides itself on having a constantly changing inventory to match upcoming holidays so you will need to be able to keep up with all of the stocking and organizing that comes with these changes. In your Party City job application make a point of noting your abilities in these areas. A Party City application for a management role will have a lot of the same requirements as customer representative roles. It is important to reflect your leadership abilities when you apply for any management position but in your Party City job application form it is more important to reflect the right attitude. This is supposed to be a fun work environment to encourage shoppers to get into the party spirit, so you will need to be the kind of person that promotes excitement and fun while on the job to be successful here. You will not learn about specific benefits for your position until after your application for Party City has been considered. All employees are entitled to a flexible salary and reasonable wages for their area. Some full-time positions are also eligible to participate in a 401 (k) retirement program or to buy into employee healthcare plans which include medical and dental insurance. You will also be eligible for paid time off including vacation days for major holidays and sick leave when necessary. A Party City employment application will also make you eligible for an employee discount on merchandise. You can fill out a Party City application to work anywhere in the country with the 800+ locations that are already up and running for this chain. This is a major sponsor for a variety of city and state-wide events such as store openings or official holiday specials. Some celebrities such as Paris Hilton are known for shopping at this store for their events. Party City careers can be a jump start to helping to manage these kinds of events and getting in on the fun when people are getting ready for a major event.